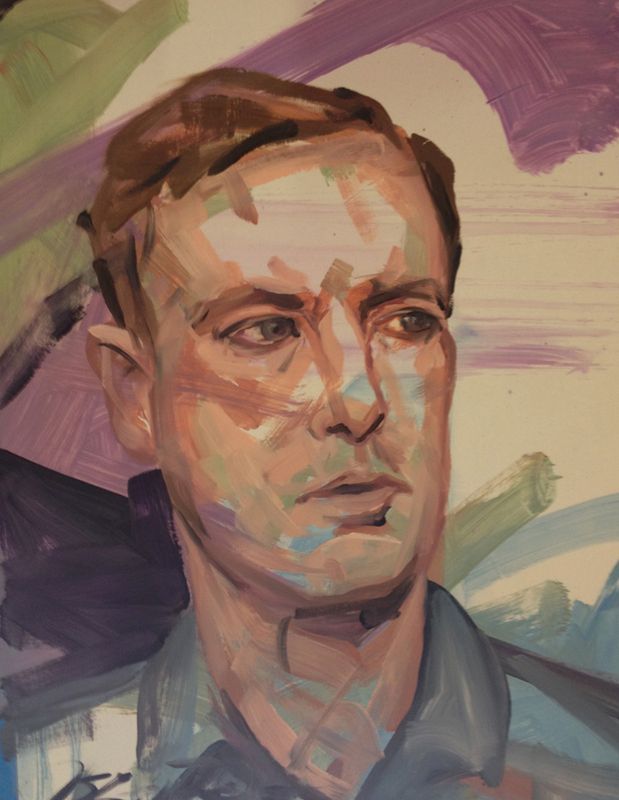 I began doing 20 minute portraits this past winter as a studio warm up a few days a week. I got such a popular response from visitors that I recently held an open studio event over three days where this was all I was doing. It was very popular and I continue to get requests, so its now an ongoing part of my practice. An individual portrait costs $200. They are on 20 x 16 inch, primed, heavy weight paper. I can work from a sitting, or from photos that I take, or one the client provides. I've had request for couples, and this raises the cost to $450 as an additional figure doubles the time, and is also in a larger format more appropriate for two figures at 22 x 28 inches. I've also had requests for more substantial custom pieces such as a larger format, on canvas, or panel. This is an option as well. Please contact me to discuss costs and options.